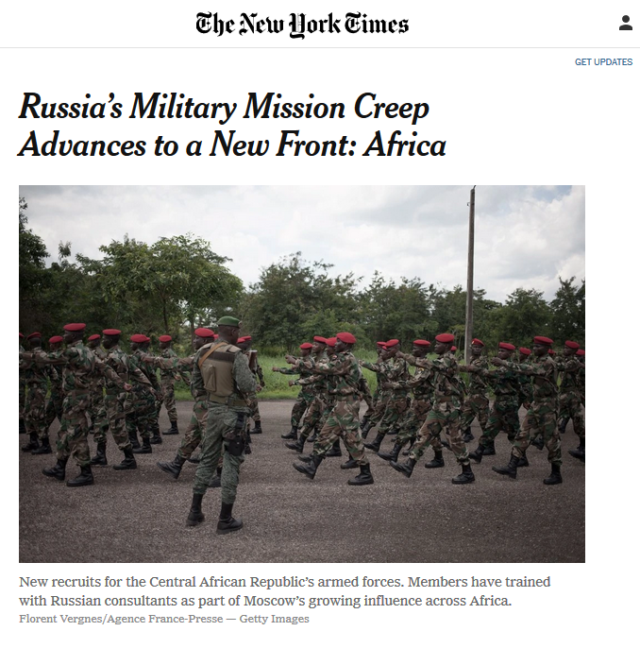 Panic over a creeping Russia menace in Africa is timed, not coincidentally, with congressional debate over the Defense budget, submitted by Trump two weeks ago. In addition, some congressional Democrats and Republicans are working to erode what little caps exists for the military budget, with a planned vote next week in the House for lifting limits on discretionary Defense spending. 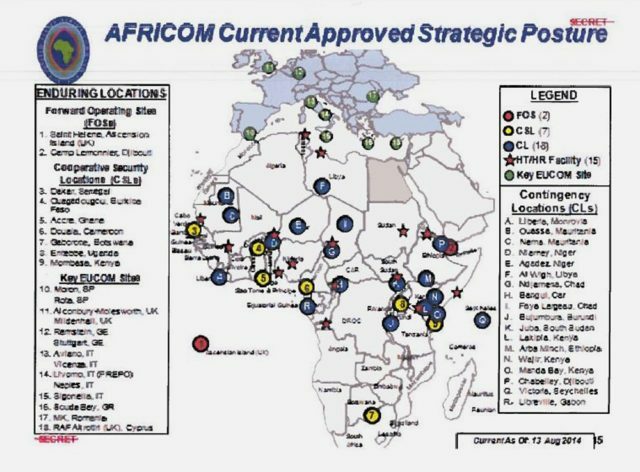 Needless to say, the primary funders of the Center for Strategic and International Studies and Institute for Study of War—the think tanks whose juicy quotes and studies bolster the primary arguments of the articles’ premise—stand to make tens of billions in profit from both of these legislative efforts. Having the New York Times provide marketing collateral for these efforts is no doubt useful in convincing an increasingly war-weary public, and accordingly war-wary Congress, to rubberstamp yet another record-setting Pentagon budget. 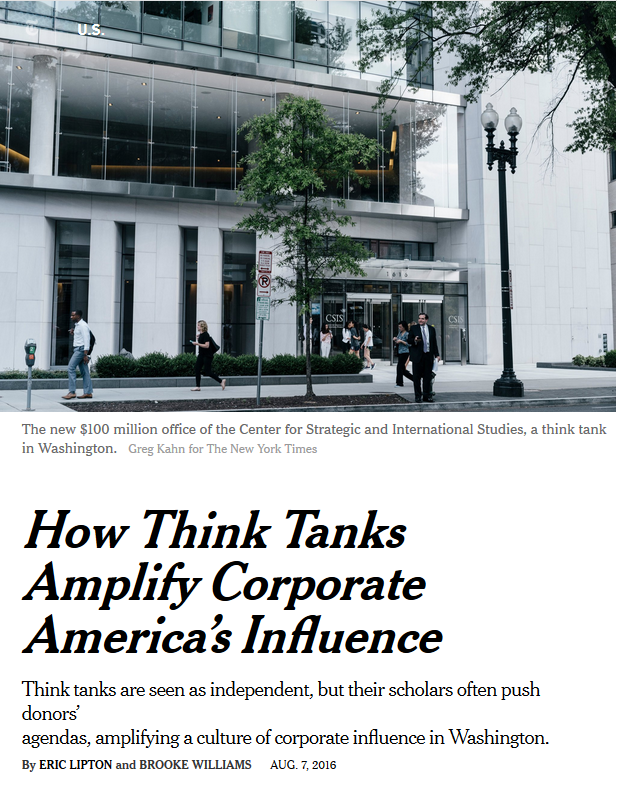 CSIS was Exhibit A in the New York Times‘ exposé (8/7/16) of how think tanks serve as undisclosed lobbyists—but that hasn’t stopped the paper from using the think tank’s “experts” as national security sources. If it seems as though this world is getting smaller and there are areas of conflict you never heard the name of, you might be correct. The fact is what is getting smaller are natural sources resources and international banking and corporations want their fingers in every pie. World political leaders are the means by which these moneyed interests get what they want. Is this new, no because since the papal bull of the 15 century called the Doctrine of Discovery, western nations have been colonizing and exploiting third world countries all over the world. These Bulls give permission for a country to take what it wants and to kill all the “heathens” that resist. We saw this with the American Indians and the overthrow of Hawaii and it will continue in Africa. It is hard to think that a 600 year old document gives the legal right for corporations using their muzzled attack dogs like the US to bring the entire world under their rule. Since the days of Truman in the modern era, overseeing the rise of the MIC, creating an hysteria designed to cause Americans to fear anything Russian or communist/socialist, and his outright seizure of the military so it could wage war anyplace on earth without a congressional declaration, we’ve seen a steady rise in global violence and corporate control. il corvo is correct too. The history of colonialism, it’s evil nature and outcomes dates even farther back with the Doctrine of Discovery, but how to relate history to young folks coming along today can be a bit of a problem and I’m still trying to figure that out, although many appear to be discovering things without any help from us older folks. I also can’t help but be amazed that NY Times ever became the so-called, paper of record when it’s so often engaged in repeating govt and/or corporate claims no matter how outrageous or inaccurate. No wonder so many fine investigative journalist have left that paper over the years. Enduring locations my arse. Surely folks can see through such nonsense. Fine piece William. The vision of millenniums has become so myopic that all many of them see is what is right in front of them, jobs, student loans, and sexual identity. My assessment is that we are looking at a generation steeped in fear. Compassion for people that this country is bombing or will eventually bomb is off of their radar. We are becoming a population that sees only a future as prescribed by the past. Creative thought and coherent thinking has become rare. I try to remember that the NYT is still a large, lucrative corporation that is paid to print what the government and other corporations wish to hear. The NYT has called for yet another regime change in Venezuela. Who does that work for??? The earth is abundant in resources, but there is an engineered shortage of money for the poor to buy them for their basic needs.